Gibson Dunn | Dennis, Patrick W.
Mr. Dennis is consistently named among the nation’s leading environmental law attorneys. In 2017, he was listed in Expert Guide’s Energy and Environment Guide as a leading practitioner in the area of Environmental law. Mr. Dennis was also recently published in Who’s Who Legal’s Environment 2017 Guide, which recognizes outstanding practitioners in various practice areas. In 2012, 2013 and 2014 Best Lawyers named him Los Angeles Litigation – Environmental “Lawyer of the Year.” He was also selected by his peers for inclusion in The Best Lawyers in America© for the field of Environmental Law and Litigation-Environmental. In 2017, Mr. Dennis was awarded the Legal 500 Hall of Fame for being a “leading lawyer” in Legal 500 for the past six consecutive years. In 2018, Mr. Dennis was nationally ranked as one of just ten “Leading Lawyers” in Environmental Litigation in The Legal 500 United States and in all prior years going back to 2009 he was ranked as one of just 10 or 11 such Leading Lawyers. For 2010 through 2018, he is in the top tier, Band 1, ranking for California environmental law in Chambers USA: America’s Leading Lawyers for Business. 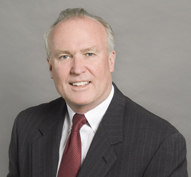 Mr. Dennis received the 2016 CLAY (California Lawyer Attorney of the Year) award in the Real Estate and Development category for his role in the redevelopment of the Hollywood Park racetrack into a ,Dennis was elected to the prestigious American College of Environmental Lawyers by his peers. He was the Chair and a founding member of the Los Angeles County Bar Association Environmental Law Section. For 2017 -2019, Mr. Dennis is the Chair of the Board of Trustees for the California Science Center Foundation. Among other appellate arguments, Mr. Dennis represented (1) the Atlantic Richfield Company in the successful Ninth Circuit Court of Appeal decision reported at Wilshire Westwood Associates v. Atlantic Richfield Corporation, 881 F.2d 801 (1988) (excluding refined petroleum products from CERCLA coverage under the so-called “petroleum exclusion”); (2) the Climate Action Reserve in the successful California Second Appellate District decision reported at Our Children’s Earth Foundation v. California Air Resources Board, 234 Cal. App. 4th 870 (2015) (upholding the validity of the offset protocols for voluntary carbon emission reductions as part of California’s landmark Greenhouse Gas cap and trade regulations); and Philip Morris USA in Aranda v. Monsanto et al, Case No. N13C-03-068, Delaware Supreme Court decision filed March 22, 2018 (affirming the trial court’s grant of dismissal on forum non conveniens grounds of over 400 Argentine plaintiff’s famer’s claims that their alleged exposure to Roundup caused birth defects in their children). He received a B.S. (Civil Engineering – 1976); M.S. (Mechanical Engineering – 1978); and a J.D./MBA (1982), all from the University of California, Los Angeles. Mr. Dennis has practiced exclusively in the environmental law area since graduating from law school. Client Alert - March 12, 2014 | Semiconductor Birth Defect Cases Keep Unraveling In Del. Client Alert - March 6, 2012 | Birth Defects — Prenatal Liability Or Workers Comp?